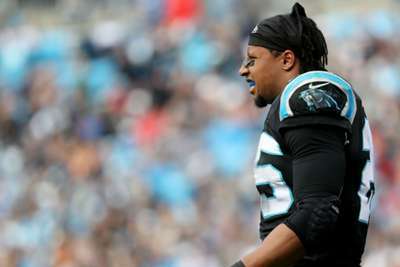 Eric Reid received his seventh drug test request of the season from the NFL on Monday as the Carolina Panthers lost 12-9 to the New Orleans Saints. Reid spoke out about the NFL's drug-testing system earlier this year when he received a previous request, saying it "doesnt' feel very random". The NFLPA said they would be looking into the number of drug test requests Reid has received from the NFL, which is now seven in 10 games, including one which came during a physical before he joined the Panthers. The 27-year-old uploaded an image of the latest request to his Twitter account. The Panthers' losing streak was extended to seven when they fell to the Saints. They will take on the Atlanta Falcons in Carolina on Sunday.